Ekaterina gave an excellent discussion of the Documentation system in GNOME, and how users actually use it. In the question and answer period, someone asked a very insightful question about how GNOME might use the online Documentation system (and what topics users are searching for) as a way to inform future improvements to GNOME. Currently, GNOME isn't able to do that. However, I chatted with Ekaterina later that evening, and volunteered to help in this area. When I wrote my Master's project on usability in free software, I originally wanted to include a discussion about using web searches as a way to provide another vector of usability feedback. (I didn't include this in the final draft because it made my capstone too long.) There are some general methods that can be applied here, and I think I can help. Karen talked about her tenure as Executive Director at GNOME, and some lessons learned from being the Executive Director. There's lots I could add here, but I'll just summarize by saying the Executive Director role would be a great job for anyone motivated in advancing free software. Jasper gave a very animated and interesting presentation about how GNOME could add support for Wayland, the new graphics subsystem that can replace the X Window system. Wayland isn't ready for prime time yet, but Jasper shared a preview into the capabilities of Wayland, including security improvements over X.org. A few highlights from day 2 at GUADEC. The second day had eight general session presentations (four sessions, two per session), a keynote, and lightning talks from the Summer of Code. I hadn't heard of Piviti before, and it's great to see such a mature video editing package for GNOME. Jean-François showed a lot of cool features in the latest version of Piviti. While I don't have a frequent need for video editing, when I next need to do some video editing, I'd like to try Pitivi. Nathan's talk was actually about embedding Linux in the automotive space. I didn't know that the automotive industry had adopted Linux here, but they have! Just as Google joined with handset manufacturers to create the Linux-based Android platform, so car manufacturers and automotive hobbyists have created similar Linux-based in-dash "infotainment" systems. These were a series of five minute presentations about different coding projects taken up as part of Google's Summer of Code, in partnership with GNOME. These student interns have advanced several key projects, fixing bugs and adding new features. In watching the presentations, I was motivated to volunteer as a mentor for next year, supporting interns who wish to do usability testing. We also did the group photo! I am posting a wrap-up from each day at GUADEC. While I'm actually posting these almost a week later, I will back-date each article to the corresponding day at GUADEC. I hope this will help you follow GUADEC, and perhaps interest you to join us next year! Andrea gave a very interesting talk about how law and free software intersect. I'd already known about copyright and trademark, having gone through the process to declare a non-registered trademark for FreeDOS. And while I thought I knew the major points about software patents, I learned a lot from Andrea's discussion about defensive patents (there's a group out there to help free software projects with defensive patents) and "willful infringement" of software patents (which is why it's important to let your lawyer search for software patents, not you). This was my keynote presentation about my usability study of GNOME. There were a lot of great questions, and I think everyone was very engaged. It's great to see GNOME taking an active interest in usability. This is often an area that gets skipped, by both free software and proprietary software. Marina's talk was a refreshing reminder on how to support everyone in free software. Marina reminded us that women in technology often face the "unicorn syndrome"—if you are a woman working in technology, you will eventually be asked to give a talk about being a woman working in technology. Marina also talked about words to avoid when talking about people and technology, something I realized I fumbled when I gave my keynote. Notably: don't always give female examples of people who can't use technology. Oops. In my keynote, I said that I wanted GNOME to be something that my mom could use. That's something to work on. I wanted to share this brief interview with me, for GUADEC and GNOME. You should also be able to find this on the GUADEC website in the coming days. 1. Nowadays many designers are interested in user experience rather than usability. Do you believe that usability alone is still relevant? Usability and user experience are related, but different. Usability is about getting something done; user experience is about the user's emotional impression. Lots of things can affect the emotional experience of a graphical desktop like GNOME. Colors, fonts, location of elements, and window decorations are just some of the things that can influence how a person feels about using GNOME. That's the user experience. Usability focuses on the user. The general rule about usability is that people use programs to be productive, and they are busy people who are trying to get things done. Through usability testing, the user decides when a product is easy to use. Because if a program is hard to use, no one will want to use it. And if they don't use the software, then they won't have an emotional experience about it. So I believe that usability and user experience go hand-in-hand. Programs need to be pleasant (user experience) but people need to be able to use them, too (usability). 2. In your experience, what are the biggest difficulties you can incur in arranging an user testing? It is critical to plan a usability test around the users. Who are the users? Do you only expect programmers to use it, or is it intended for a general audience? With GNOME, that means everyone, so any usability test of GNOME must be designed for "general users with average knowledge." The next step is to decide what tasks those users need to do in GNOME. What are these general users trying to get done? In this usability test, we wanted to focus on new design patterns, but we first had to work out a set of tasks that real people would probably do: manage some folders and files, browse the web, take some notes, and so on. "You don't have your glasses with you, so it's hard to read the text on the website. Please make the text bigger on the website." 3. You have worked very much in last months in improving usability in GNOME: what was the hardest issue you found and the biggest satisfaction you have got? 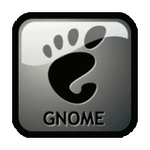 I was really glad to see Allan and the other GNOME folks create entries in the GNOME Bugzilla. It's really satisfying to see GNOME developers taking usability seriously. In doing the usability test, it is hard to watch someone struggle to complete a task. You can't give hints; you almost have to sit on your hands to keep from saying "the menu item you're looking for is right there." You must let the tester explore for themselves, in order to understand how users interact with your program. I was surprised by some of the test results. For example: installing a program using Software. When testers searched for the program ("Robots") they got a list of programs that matched the search, and a convenient "Install" button they could click. But if they navigated through the categories to find the program, the "Install" button was in the upper-right corner, and users didn't see it. Instead, they clicked on the link to visit the program's website, which got them totally off track. So testers either completed this task very easily, or they were not able to do it at all. 4. What do you expect from this GUADEC? This is my first time at GUADEC, so I really don't know what to expect. I have attended other similar conferences, so I expect to meet lots of interesting people. I am a very friendly person, so if you see me, please do say hi. While I've visited other countries, this is my first trip to France. Unfortunately, I don't have any French, so I am hoping someone will help help keep me from getting lost. I also speak conversational Spanish and a little bit of Klingon, but neither will help me in France. 5. What can we expect from your keynote at GUADEC? My keynote will be a summary of my usability research with GNOME. This is based on my Master's capstone project, which you can download from my blog: "Usability Themes in Open Source Software." The presentation walks through the usability test of GNOME. I think folks will be very interested in the "heat map" of the usability test, which shows how testers fared in the test. It's a new way to share results of a usability test, and I think it helps to make issues more clear. I will wrap up with a discussion of five themes from this usability test: how GNOME developers can extend this usability test to help them with other GNOME programs. Thanks, and I look forward to meeting you at GUADEC! 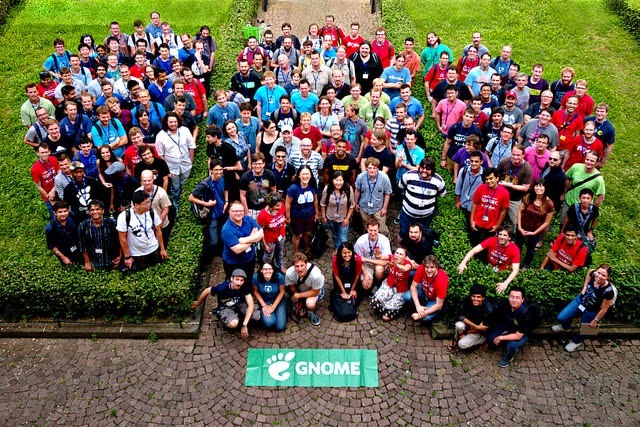 The 2014 GNOME Users And Developers European Conference ("GUADEC") starts this weekend in Strasbourg, France and I'm very excited to be there! This is my first experience at GUADEC. I will be speaking as a keynote, discussing my usability study of GNOME. Patents and copyright and trademarks… Oh, why!? As you can guess, several of these relate to my specific interest in the usability of free software. David M Nichols, Michael B Twidale. "Usability Processes in Open Source Projects."